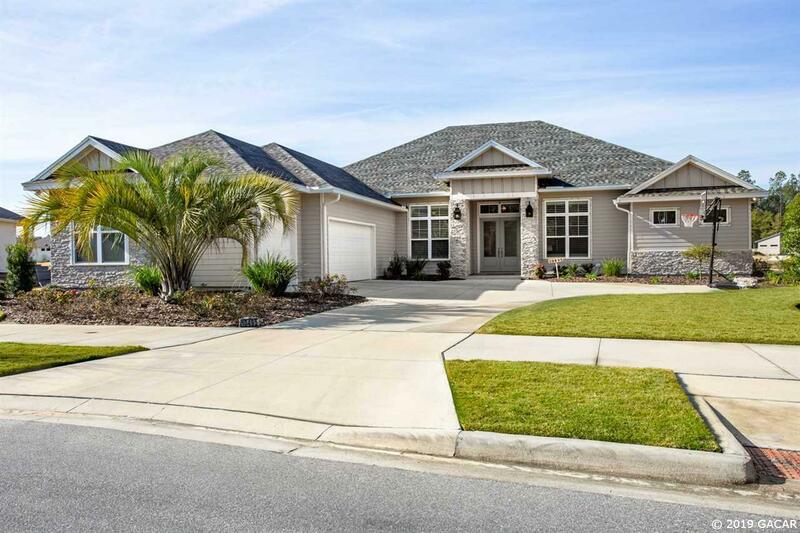 Stunning 4 bedroom 4 bathroom plus study home in desirable Estates at Wilds Plantation. No detail was missed throughout this open concept home perfect for entertaining. Escape to the Owner&apos;s Retreat with walk in shower, freestanding tub, custom built closets, and generous sized bedroom. The center island kitchen is equipped with marble counters, wall oven and microwave, stainless steel single basin sink, wet bar area, and plenty of cabinet space. The inside effortlessly blends with the outside with the hideaway stackable sliding doors incorporating the pavered screened-in pool, living area, and summer kitchen. All nestled on a large lot backing up to common space offering you tranquil views from your outdoor living space. Also, this home offers plenty of storage space with a three car garage, lots of closets, and large laundry room. upgraded Plantation shutters and automated blinds, All built in 2018, so don&apos;t wait to build, this home is ready now!